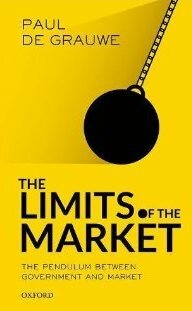 The Limits of the Market; The Pendulum Between Government and Market (2017) | Moral Markets? The old discussion of 'Market or State' is obsolete. There will always have to be a mix of market and state. The only relevant question is what that mix should look like. How far do we have to let the market go its own way in order to create as much welfare as possible for everyone? What is the responsibility of the government in creating welfare? These are difficult questions. But they are also interesting questions and Paul De Grauwe analyses them in The Limits of the Market; The Pendulum Between Government and Market. "Between 1989 and 1991, Soviet communism collapsed. Less than two decades later in the west, it was the turn of governments to save the private financial sector from collapse. Today, our misfortune is to be caught between ineffective governments and failing markets. We need an intelligent guide to this new territory. One of Europe’s leading economists, Paul de Grauwe is such a guide. In his lucid new book, the Belgian professor now based at the LSE explains how one should think about the balance between markets and governments — as systems interacting with one another over time. [...] Its essential point is that neither a pure market economy nor a purely government-controlled economy is workable. “A mixture will always be required,” writes de Grauwe. Moreover, over time, the balance will vary as politics reacts to the excesses of markets or governments." "De Grauwe offers the reader a thought-provoking book and a basic theoretical and empirical departure point for further work on an important topic relevant to the future of democratic capitalism. Public policy issues of income inequality (especially a stagnant or declining economic middle class), crushing national debt, public pension and health insurance funding shortfalls, and the ever intrusive and coercive regulatory state (and loss of liberty) are coming due. The important question still remains: What is the right mix of market and state?" 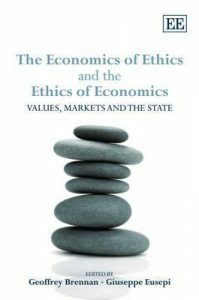 "For a social democrat or indeed anyone who is not a market fundamentalist, there is little one might vehemently disagree with in this book. The mystery remains, however: who is the intended audience? [...] To be clear, this is not to say this is badly written and I certainly do not want to disparage the author, who seems to be broadly correct in the conclusions he offers. It is just that this book is not one thing or another. It is not an accessible handbook for the non-adept as it presumes far too much knowledge of the various issues in offering lightly filled-in sketches of its key points; but equally, this very lightness means that the interesting arguments are neither as fully developed nor as nuanced as an academic audience might require." 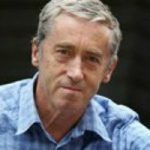 Paul De Grauwe is Professor at the London School of Economics. He was a member of the Belgian parliament from 1991 to 2003. He is honorary doctor of the University of Sankt Gallen, the University of Turku, the University of Genoa, and the University of Valencia. He has been a visiting professor at various universities including Paris, Amsterdam, Berlin, Kiel, Milan, Pennsylvania, and Michigan. He obtained his PhD from the Johns Hopkins University in 1974. His research interests are in the economics of monetary unions and behavioural macroeconomics. His book publications include The Economics of Monetary Union (Oxford University Press, 2016) and Lectures on Behavioral Macroeconomics (Princeton University Press, 2012). This chapter provides a short historical overview. It shows that there are limits to the expansion of the market system. Sometimes the dynamics of the system seem unstoppable, particularly because it generates material wealth as no other system can, but it repeatedly stumbles on limits and falls victim to its own success. At that moment governments step in, and political management and control become important again. Over time, however, government management systems also reach their limits. It is as if market and government are locked in a perpetual battle, attempting to win ground from one another, overthrowing the other again and again. The market system is an extraordinarily effective mechanism for creating material prosperity. Countries which have renounced the market system, as in the case of many previously communist regimes, have learned the hard way that it leads to stagnation and collective poverty. Capitalism, by contrast, is successful thanks to its decentralized character, whereby everyone strives for his or her own interests. The market system, however, also comes up against its limits, which arise because individual and collective rationality do not coincide. Firms which pollute the air and water may maximize their individual profit, but not the prosperity of society as a whole. The market system also awakens the cold, calculating System II in individuals, without taking into account our emotional side, System I, thus leading to internal conflict in individuals. The theme of this chapter is the discrepancy between individual and collective rationality which occurs when individuals do not take into account external effects of their individual decisions. In a market system individuals have no interest in considering external effects. The problem is felt in three domains. Firstly an uncontrolled market system leads to degradation of the environment, which increases as the market system expands. A public harm is therefore created and becomes increasingly important. Secondly, the expansion of the financial markets during an economic boom also leads to public harm, namely the instability of a more risky system from which no one can escape. Thirdly, paradoxically enough, the expansion of the market leads to a decrease in interest in public goods. This chapter shows how expansion of the market system brings it to its internal limits. These relate to the fact that the market system appeals to the rational, calculating capacities of individuals, responding to financial stimuli and competition. When the free market system grows in importance these capacities become more important, but characteristics which belong to the emotional System I are suppressed. These individual qualities count less and less towards determining success. For people who care about fair income distribution, intrinsic motivation, and cooperation, this leads to a lack of fulfilment. The market system produces great material prosperity, but many people are dissatisfied because individual happiness is not achieved. A discrepancy arises between individual and collective well-being, which can in turn lead to the rejection of the system, which is felt to be hard, cold, and unfair. So the social consensus in favour of the free market system is undermined. 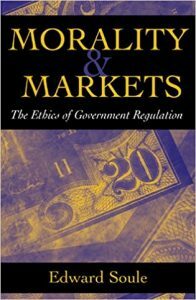 This chapter questions whether the market contains self-regulating processes which can prevent the system from ending in self-destruction. There is no in-built mechanism which can internalize the external costs created by the market system. Only an external organization, the government, can do this. Capitalism itself is not capable of preventing an inevitable clash with its limits. Technological revolutions, in particular the digital revolution, do not currently raise productivity sufficiently to generate the resources needed to prevent environmental decline. Kuznets has turned out to be wrong in his belief that a highly developed capitalism would cause income inequality to drop. Piketty, Saez, and Atkinson point out that inequality in the most developed capitalist countries has recently increased. The regulatory mechanisms must therefore come from outside the market system, and indeed from the government. 6. Who Can Save The Market System from Destruction? Economists have developed an important theory on the question of how governments should tackle externalities. The great proponent of this theory was Arthur Cecil Pigou, an English economist of the first half of the twentieth century. He argued that if a company generates external costs by emitting harmful substances, the government should determine the magnitude of the costs and impose them on the company. This is best achieved by taxes or imposing quantitative limits on the emissions. Similarly, in order to reduce inequality economists favor a progressive tax system This chapter teaches us what governments should do. We know what controls can rescue the free market from its downfall. These controls can only be implemented by governments. But is this knowledge sufficient? We often know what governments should do. But that does not mean it is what they will do. The fundamental cause of limits to government action is the same discrepancy between individual and collective rationality which limits the market system. Individuals resist the attempts of government to harm private interests in favor of the collective. The big challenge of governments is therefore to bridge the difference between individual and collective rationality. This is best achieved in democratic forms of government of an inclusive type. Inclusivity makes it easier for the government to achieve consensus on decisions necessary to promote collective interests. The individuals who are harmed by the collective action are compensated by the others, so they will agree more easily to interventions. Decisions can take a long time, but when made are backed by broader support. Exclusive authoritarian regimes have serious problems gaining support because it is easier for private interests to infiltrate such political systems, so there the discrepancy between private and collective interests is greater. Governments are called on because the market system appeals too little to the emotional System I. Governments must correct the great inequalities a market system can cause, but they can go too far in this, running up against their own internal limits, which relate to the fact that System II, which causes us to long for rational, autonomous choices, becomes repressed. When this repression becomes too great, there is a loss of economic efficiency, and if this is too great, society rejects the system. The internal limits of government action, however, can also spring from System I. Our sense of fairness causes us to long for a system of social security, which can only be guaranteed by government. But if the government does not keep moral hazard under control, there is a backlash springing from a sense of fairness offended by too many ‘free-riders’, and social security may be cut back. 9. Who is in Charge? Market or Government? This chapter argues that the high labour costs in Northern Europe are the result of high productivity, which generates purchasing power, allowing people to buy new goods and services, and also the means to expand collective facilities and social security. These facilities form a necessary counterweight against a market system which is seen as cold and unfair. Without these corrections the market system approaches its limits and will be rejected at some point. Without government to provide public goods and social security, a market system cannot survive. At the same time a strong market system generates the resources for a strong social security system. Market and state are like twin brothers, inseparable and serving to reinforce one another. That is also apparent from the data on competitiveness and labour costs. The Scandinavian countries, which have the highest labour costs, belong to the most competitive countries in the world. 10. Rise and Fall of Capitalism. Linear or Cyclical? 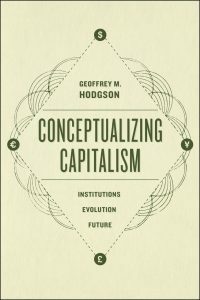 Philosophers, economists, social scientists, and historians have developed countless theories describing how capitalism emerged and why ultimately it would be doomed. The key characteristics of these analyses are that they predict the final collapse of capitalism and its transformation into something very different in which governments (the state) will take over the command of the economy. Karl Marx, Friedrich Engels, Joseph Schumpeter, Rosa Luxemburg, Vladimir Lenin, Karl Polanyi, all have developed ‘linear theories’ of the rise and fall of capitalism, i.e. theories predicting that capitalism would disappear and be replaced permanently by some form of state control over the economy. This linear theory contrasts with the cyclical theory that has been developed in this book, i.e. a theory predicting that capitalism is subject to a rise and fall followed by a resurrection, which in turn leads to a new rise and fall, ad infinitum. The creation of the eurozone has led to a great shift in the power of national governments relative to the financial markets. It has seriously weakened the eurozone national governments with respect to the financial markets, leading to a dangerous supremacy of the markets, which have forced many countries in the eurozone to introduce excessive budgetary austerity measures. This in turn has led to a substantial rise in unemployment and the breakdown of parts of the social security system. This is a dangerous tendency because in time it undermines social consensus as to the advantages of a market system. Capitalism in the eurozone threatens to reach its limits at an alarming speed, with all the consequences mentioned. n 2013 the French economist Thomas Piketty wrote a remarkable book entitled Le capital au XXIe siècle. When the English translation, Capital in the Twenty-First Century, was published in 2014, it became a worldwide success. For many economists this book is a milestone in economics. Piketty is already referred to as the new Marx. Piketty was mentioned repeatedly in this book, especially when it came to the internal limits of capitalism. What is so special about his book, and what are the implications of Piketty’s analysis? This chapter addresses these questions, also enabling the limits of capitalism to be better defined. The history of the past 200 years is one of large pendulum swings in the scope of markets and governments. The question now is whether these swings will continue to repeat themselves in the future. If that is the case, the expansion of the markets we have seen in the last thirty years will inevitably lead to governments making a comeback as the guiding force in the economy. These swings often lead to violent changes, and catastrophes. It will be extraordinarily difficult to prevent future catastrophes. It may even already be too late. We have a small chance of preventing decline with the reforms outlined in this chapter.